If you’re keen to create a smart and welcoming reception area for your business, you’ve come to the right place. 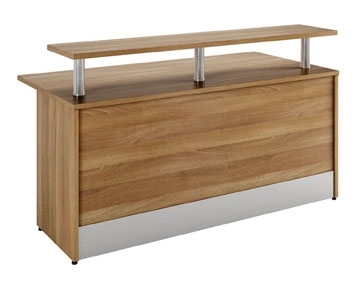 Our range of high-quality reception desks and counters exude contemporary style and are guaranteed to give your entrance area a sophisticated, professional look. 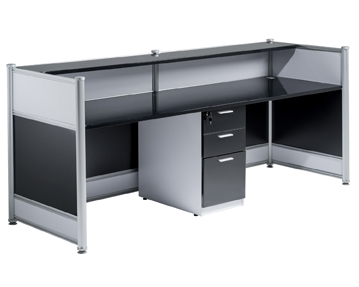 Whether you’re in need of bespoke desks or standard size versions, you can rest assured that you will find something to suit your needs in our comprehensive collection. 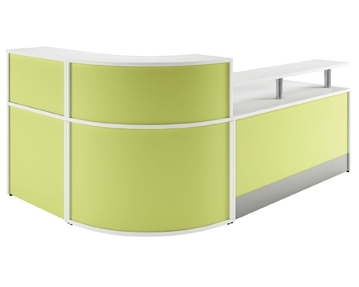 We offer a variety of modular units that can be fitted together in multiple configurations to create a reception area that suits your space. 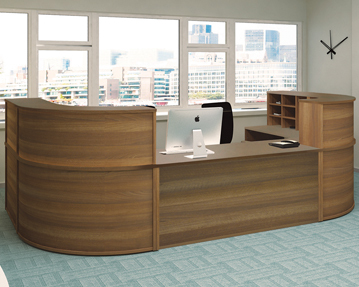 Our Curve desks come with space-saving hutches and shelves for added storage, helping to create a functional and efficient workspace for your receptionists. 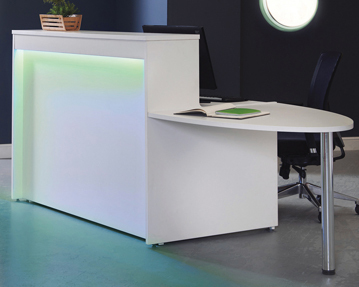 We also offer a number of standard size reception desks with sleek, modern designs, floor levelling feet and built-in cable ports. You can take your pick from a wide selection of wood veneers and high gloss finish counters to suit your interior and complement your company image. 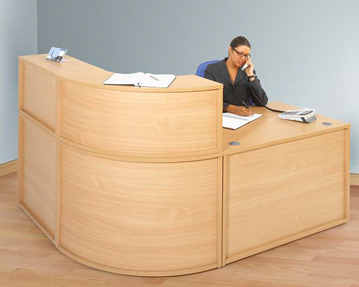 For added convenience, we can position and assemble your reception furniture for you. 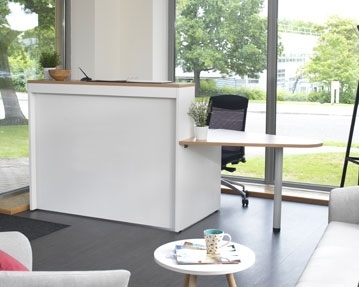 If you want to get more information about our range of reception desks for offices, take a look around our site or contact our expert team today.